A vast new road building and regeneration project has been announced in Germany using private capital, but how will investors earn their returns? Plus, Denmark’s Fehmarn Link gets the final go-ahead. 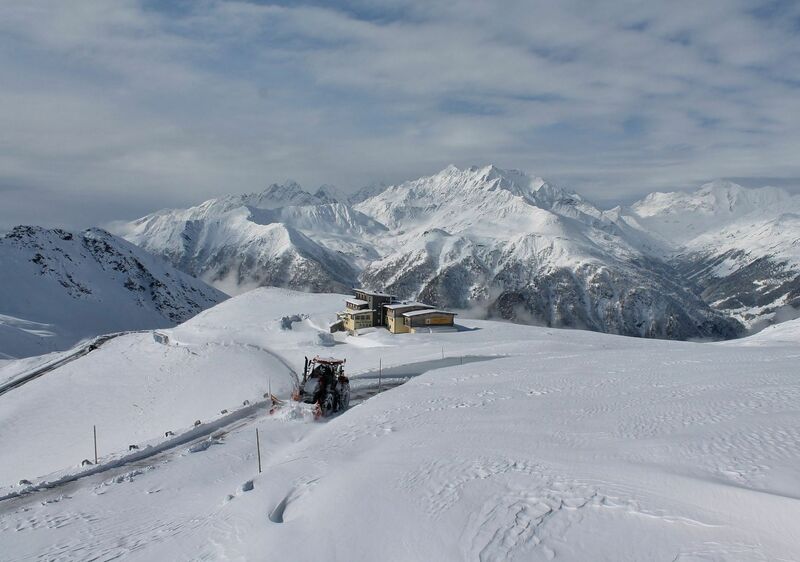 Austria’s Grossglockner kicks off the mountain pass season. Speed cameras turned off in Antwerp. A new Low Emission Zone for Rotterdam. And, no new 150kmh speed limit on Czech motorways. Private capital to address ‘decades of underinvestment’. A new generation of ‘Public Private Partnerships’ – PPPs – is to pay for a significant overhaul of the autobahn network. Exactly like the European Commission’s €315bn Juncker Plan, the authorities in Berlin want to use private investment to build or refurbish 600km of new roads. Transport minister Alexander Dobrindt said today (Friday), ‘With the new generation PPPs we will activate fresh private capital for investment in major road projects in Germany and create a new market for institutional investors. They can invest capital stable and secure for the long term in German transport infrastructure projects’. The obvious question is, how exactly will these investors earn their returns? Unlike the European Commission’s plans in which private capital will make profits through road tolls, for instance, the German government will pay directly in a system known as ‘shadow tolling’. The ‘next generation’ aspect of the new PPPs refers to the payments varying depending on performance. Road works or reduced speed limits for example will earn the government discounts. Meanwhile, the projects should go some way in tackling the ‘decades of underinvestment’ in the motorway network. The entire stretch of the A3 between Wurzburg and Nuremberg will be widened to six lanes, as will the A6 Heilbronn-Nuremberg between the A81 and A7, the A8 between the A93 Innsbruck junction and the Austrian border near Salzburg, and the A57 Cologne-Moers. The A24 and A10 Berlin ring will also be widened Neuruppin-Pankow. Handy for those driving between the northern Netherlands and Germany will be the widening – to four lanes – of the E233 which continues the Dutch A37 at Emmen, all the way to the A1 between Osnabruck and Bremen. Particularly exciting however is the work to the west of Hamburg. The A20 Kustenautobahn (coastal motorway), which shadows the Baltic coast through Lubeck, Rostock and Stralsund, will be extended in the west (marked in red, above) via a new crossing of the River Elbe to Bremerhaven and Oldenburg. The A20 extension is not part of the PPP works, but new sections of the A26 to connect the A20 to the A1 south of Hamburg are. The net effect will be to bypass bottleneck Hamburg between Western Europe and mainland Denmark. No timescale was mentioned for any of the PPP projects. Meanwhile, the Fehmarn Link project, a new tunnel between Denmark and Germany – marked in green, above – on the direct route between Hamburg and Copenhagen, got the final go-ahead in the Danish parliament this week. The vast majority of the current €7.4bn price tag will be borne by Danish taxpayers though the Germans will widen the A1 all the way to the coast at Puttgarden at a cost of €800m. Construction starts in 2017 with completion expected in 2024.
roundup: NETHERLANDS. Diesel cars registered before 2001 and petrol cars before 1992 will be banned from north central Rotterdam, inside the ring road, from 1 January 2016 reports DutchNews.nl. Meanwhile, a €90 penalty for breaking Utrecht’s Low Emission Zone, which started in January, comes into force today. It’s not clear whether the bans apply to foreign and/or classic cars. BELGIUM. Speed cameras on the major roads around Antwerp have been shut down for several weeks now as the authorities try to cope with a back log says Deredactie.be. New rules mean the drivers of lease cars must be identified not just the lease company causing a ‘considerable additional workload’. Cameras on local roads and mobile speed traps continue to operate. CZECH REPUBLIC. Controversial president Milos Zeman will veto a law raising the speed limit from 130kmh to 150kmh on selected stretches of motorway reports Ceske Noviny. MPs voted in favour this week but the move – inspired by delimited German autobahns – is yet to be debated in the upper house. The police say a raised limit would be risky; the transport minister says the roads are not designed for 150kmh. The then Czechoslovakia was among the pioneers of high speed roads in the 1930s, inspired in part by the innovative aerodynamics on streamlined Tatra cars.